while the canal drilled across it connects the Saronic with the Corinthian Gulf, thus connecting the Aegean Sea with the Ionian Sea. 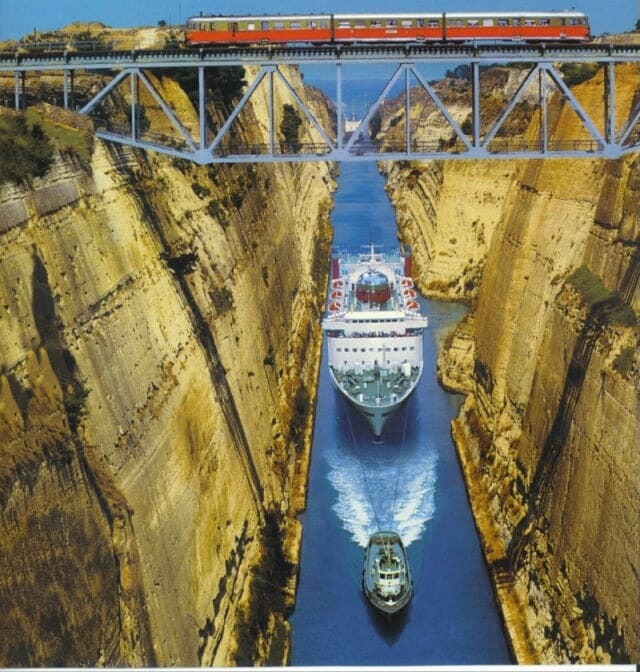 The length of of the Isthmus is about 6 kilometers and the narrowest point is where the Corinth Canal has been drilled (1880 to 1893). 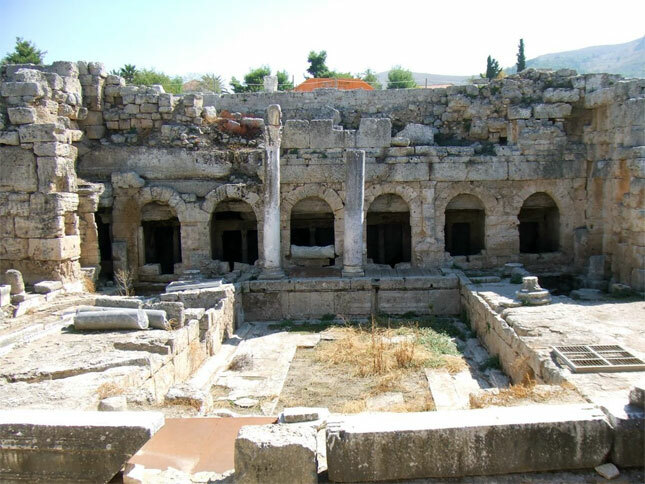 Then we continue with the visit of Ancient Corinth. The famous and imposing archaic temple of Apollo, with monolithic Doric columns of whom seven are still standing prominently above the ruins of ancient agora. Additionally we will visit Acrocorinth. 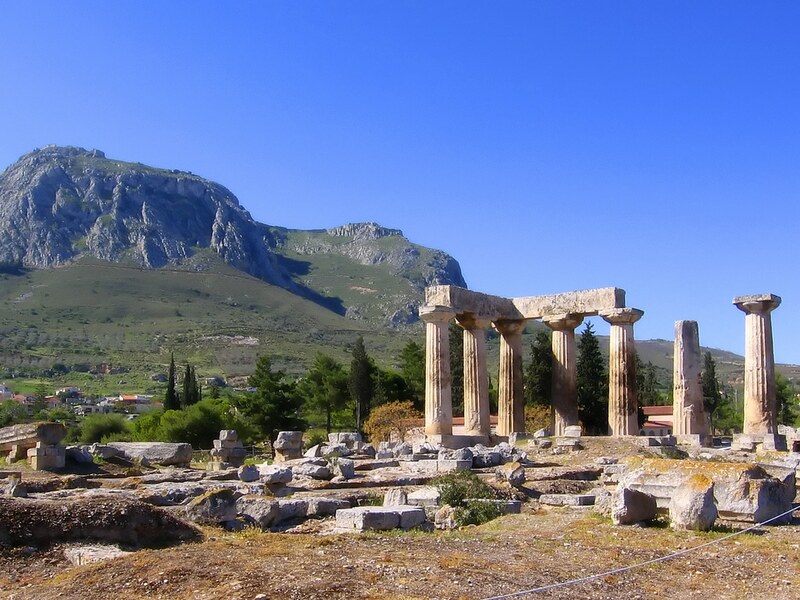 (The Acropolis of Corinth) Acrocorinth is a steep rock 575 meters height that dominates the plain of Corinth. Acrocorinth is strategically located as from there they could control the only entrance from mainland Greece to Peloponnese and all communication between Corinth and the Saronic Gulf. Acrocorinth ( Greek: Acrocorinth ), “Upper Corinth”, the acropolis of ancient Corinth, is a monolithic rock overseeing the ancient city of Corinth. It provides a very impressive panoramic view of the area that will leave you charmed.